You can get support and help directly from inside your WordPress admin. Go to the SEO Booster -> Contact us page. From this page, you can send questions directly to the support system. Fill out your name and email if it has not been filled in already. 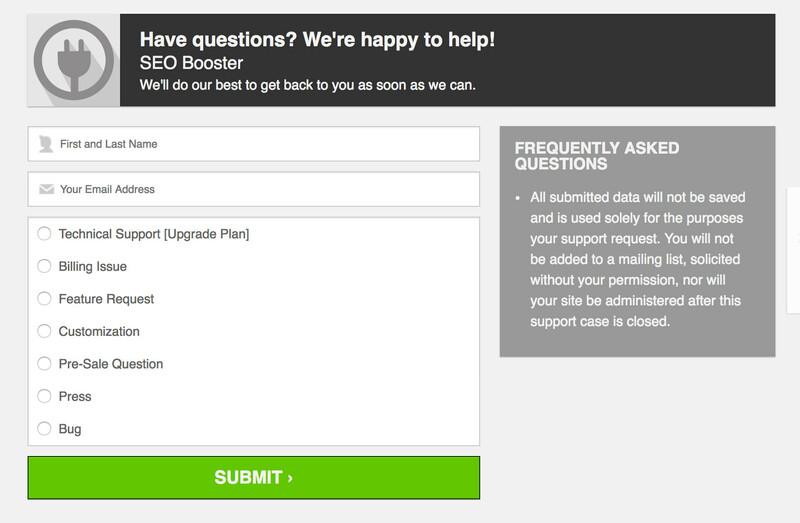 Choose which kind of support you need and fill in the data needed for a few simple guided steps. Your question will be sent to the support system and processed as quickly as possible.